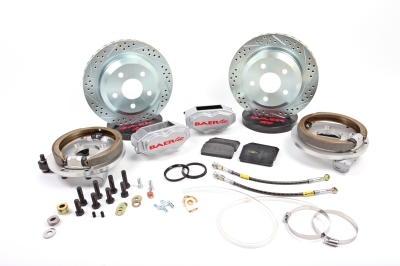 Even the most mundane sedans today have four wheel disc brakes, shouldn’t you? 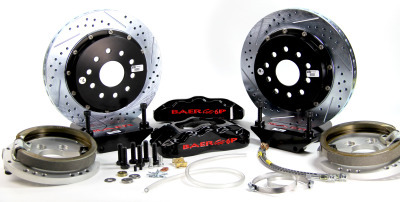 When combined with our front Super Stock GT kit, your car will brake like a modern day GT car. 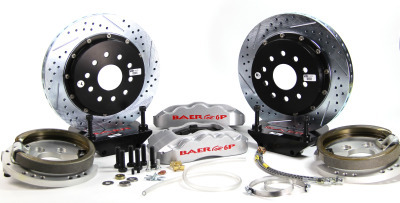 Rotors are 11 inch and have four piston calipers. The system will bolt up to either a 8 or 9 inch housing (please specify which housing type when ordering). * Compatible with Super Stock (part #GPS1000) and Super Stock GT (part #GPS1005). 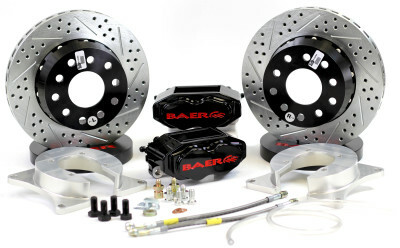 The Street Avenger rear brake kit works with the front Street Avenger strut kit with rotors that are 12 inch and have four piston calipers. The system will bolt up to either an 8 or 9 inch housing (please specify housing typer when ordering). When you are going for the best street systems, pick parts that are designed to work together. 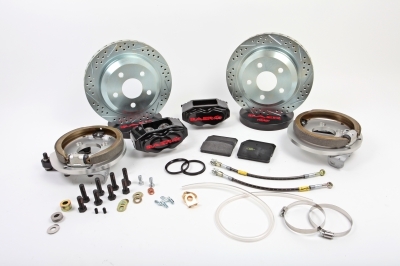 This rear disc kit is designed to compliment our Performer series of strut kits. 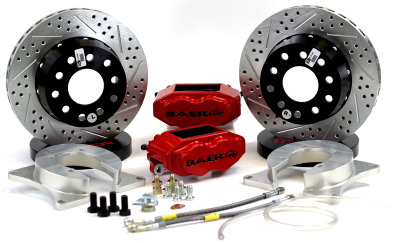 Rotors are 13 inch and have four piston Baer 4T calipers. The system comes with an internal parking brake and will bolt up to either an 8 or 9 inch housing (please specify housing typer when ordering). 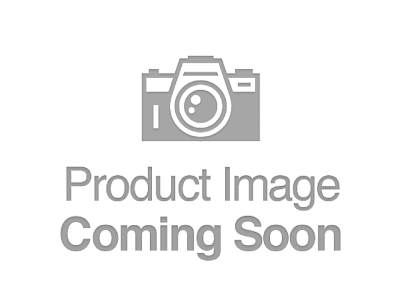 * Compatible with Performer GT’s (part #GPS1020) and Extreme GT (part #GPS1025). If it is radical up front, it should be radical out back too. 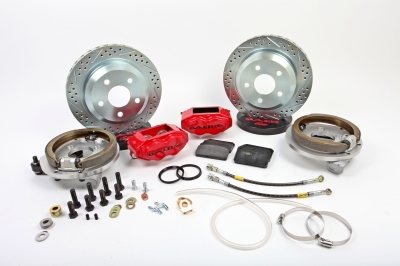 This system compliments our Street Extreme kit. 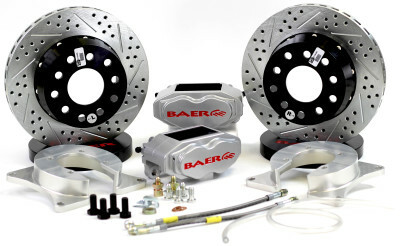 Rotors are a whopping 14 inch and have six piston 6P Baer calipers. The system comes with an internal parking brake and will bolt up to either an 8 or 9 inch housing (please specify housing when ordering).